My husband and I will be married 7 years this February. During that time we’ve lived in separate countries, gone through 2 visa processes, moved countries, moved from a townhome and house to an apartment, sold a house, built a house, started a company and had two kids. It’s no wonder date nights have been just a little difficult to squeeze in! Put the oxygen mask on first! 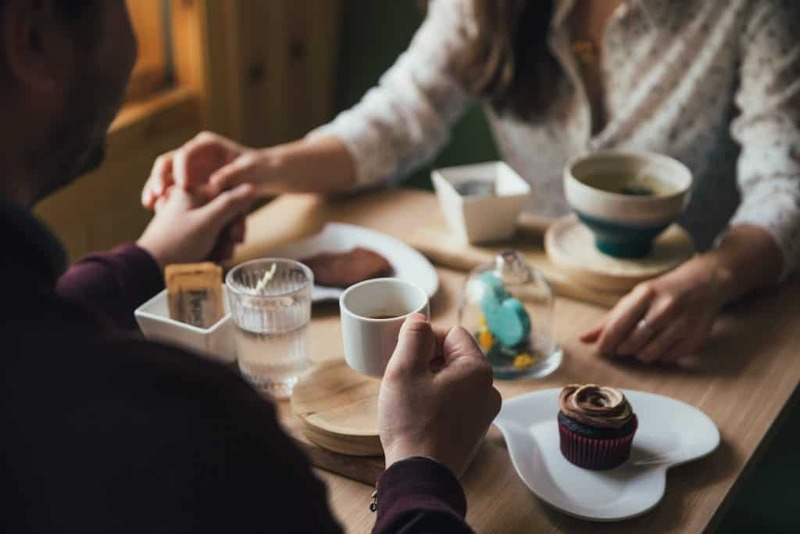 I’m a firm believer that date nights are very important, but with no family around, being relatively new to our city, and having two young kids, it’s been REALLY REALLY HARD to find a way to make them work. The truth is, relationships are work…no matter what stage of life you’re in. If you don’t take care of and maintain your relationship with your spouse, it will have a direct impact on your kids and your family as a whole. You have to put the oxygen mask on yourself first…take care of the two people that made your family a family if you want to give the best you can to your kids. Many couples shoot for weekly date nights. That’s awesome if you could make it work. At this point in our lives, we’re aiming for monthly outings. As our youngest gets a little older we’ll have more flexibility and will aim for bi-weekly and maybe, just maybe, someday we’ll get to the illustrious weekly date night! Consider non-traditional times for a date e.g. weeknight, morning, weekday etc. Recently, my husband and I took advantage of some opportunities to go out on dates that were a bit unusual. We had to go to a school orientation for our daughter and already had a babysitter lined up. We made a brief date of it by going out to dinner at a new restaurant …just the two of us! We also decided to do a breakfast date one time. 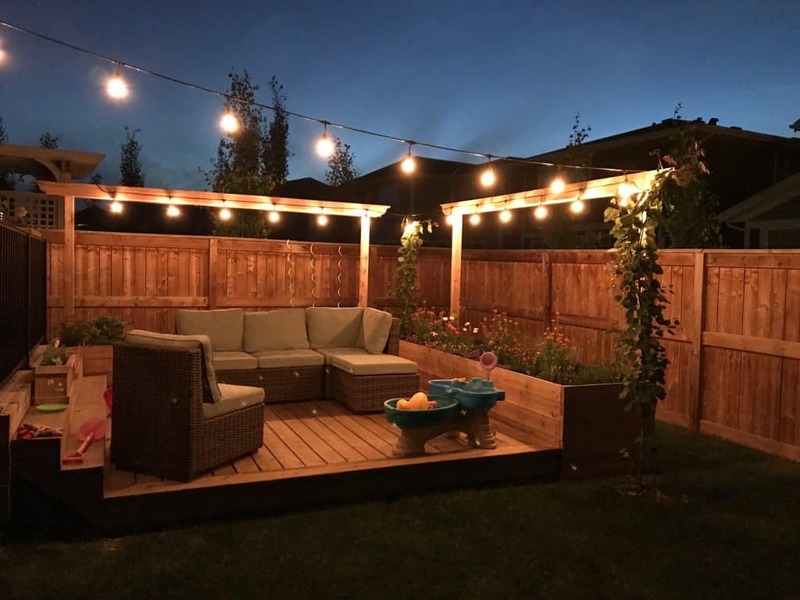 This summer we took advantage of our long summer evenings and had a couple of date nights under the tent lights in our backyard. Determine what options you have to take care of the kids. 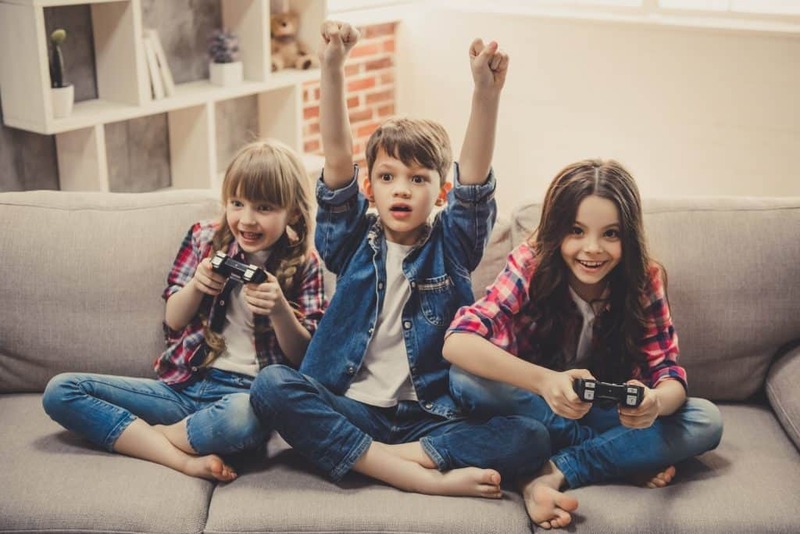 If you don’t have a babysitter or family nearby, you could potentially swap with another family where they watch your kids one night and you watch their kids another night. Also, if your kids are involved in activities like gymnastics or dance, some organizations provide “Parents night out” opportunities where you can drop your kids off for a few hours. We’ve found if we don’t actually pencil in a date, it’s highly unlikely that we’ll be able to make the time for the two of us to get out together. The first step in making a date happen is setting a date! 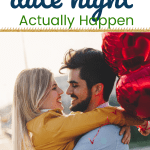 So, let’s be real, we don’t always have time to all-out plan a date like you may have before kids were in the mix. Here are three levels of planning efforts for organizing a fun date. Bronze Level – Make a list of the places the two of you love. It’s always good to have some standby options. The main thing is to get out, just the two of you. Silver Level – If you have a little more time/energy to plan ahead, you and your spouse could brainstorm some fun local options you’ve been meaning to try out. Write the ideas down and when it’s time to schedule your date night, you already have your go-to list. 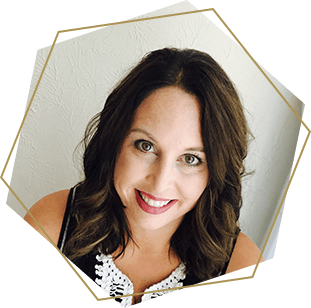 Gold Level – If you’re an overachiever, the gold standard is to put the same effort into date planning that you did when you were first dating! Do something creative that will be meaningful to your spouse! If you need some starter ideas check out some of these lists below. Bottom line…date nights are important. 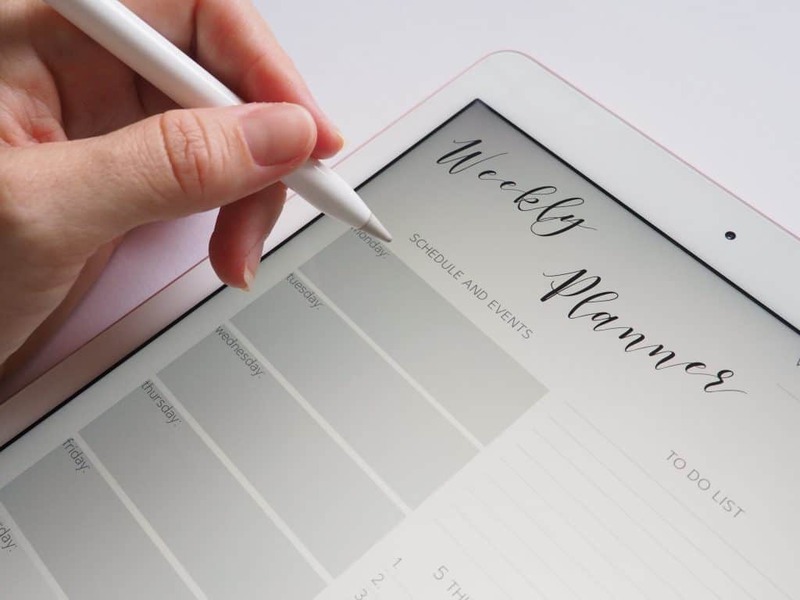 The good news is, they aren’t a dreaded task like balancing your budget, but something that is fun, enjoyable, and rewarding. 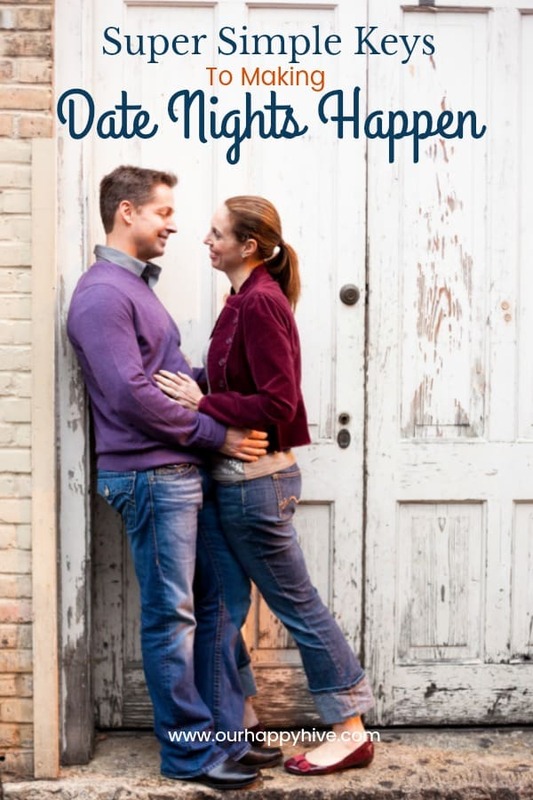 I would love to hear from you about some of your favorite date nights! I love this!! Even without having kids yet, my husband and I sometimes have trouble planning date nights due to our crazy work schedules, house work, etc. Once the kids come, it will get way harder, so I am definitely saving this to make sure we always can squeeze in some time to ourselves. These are such helpful tips and came at such a perfect time! My husband and I really need to start scheduling dates. I love your bronze-gold level planning efforts! Great post, I so believe in date nights and I love how you subtitled put the oxygen mask on first, such true statement. How can you be any good to anyone else if you consistently put yourself on the back burner. Great ideas and tips! My biggest problem with getting date night to happen is actually getting my boyfriend involved, intends to keep himself busy with things that need to be “done”. Love these tips, working in making it happen! I agree, date nights are so important and don’t need to be complicated. Even if you don’t get ‘out’ doesn’t mean you can’t spend time as a couple. I haven’t been on a date night with my husband in a very long time. Sometimes even when our son is with friends, we feel like there’s other things that need to be done. We definitely have to think about our relationship first. I love this!! Date night is SO important! Thank you for these great ideas. Your backyard is LOVELY!! 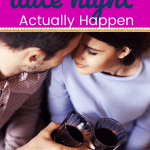 I completely agree with you that date nights are important. It’s so important for spouses to spend time with each other without any distractions. And these tips are great. This is great! I don’t have kids right now, but it’s definitely important to remember how crucial it a to take the time and be intentional about little moments like this. Really trying to work on this for the new year! Just had one last night and I’m so happy today. I feel really connected to my husband. My biggest problem with date night is finding a good sitter! I love all the good date night ideas you linked to, though! I think it’s a great way to keep things interesting! These are such great tips! I can’t relate to the part about having children yet. But sometimes it’s so hard to find time for date night with my boyfriend when we’re both loaded down with college and homework. I like your idea of making a list and the three tiers to it. Date nights are nice. I have a teen so I don’t have a lot of trouble with walking away. Our gym also host a parents night out where you can bring your kids for a few hours and they will entertain them. So with the kids taken care of all that needs to be done is the where and whens. I can’t image date night when there’s kids involved. My husband and I are coming up on twelve years next month we’ve gone though lots of things besides the kids and date night is super important through it all. Well, I needed to read that post to revive the fire. My husband and I haven’t been to a date for a while, so after reading your post, this exactly what I did, we went to a nice Cuban restaurant. Im not married, but I have been with my boyfriends around 4 years now; and dating is a 2 person thing; both must want to date and disconnect from the world. You are a lucky girl, because both are trying to make it work. Great tips to make it happen! I’ll for sure share them with my boyfriend, to see if I become a lucky girl too! I am so thankful to have my in-laws living on the next street. They tend to have the boys sleep over about once per month, so my husband and I can go out or stay in and have time together. It’s so important for a relationship! This is really sweet. My boss has date night on his calendar and it’s always something that makes me smile. It really makes you not take your partner for granted. This is so sweet! And so true! Its easy to get wrapped up with work or kids and slowly forget what you love about your partner. Date nights are a great way to re-kindle that! My husband and I are trying to do two date nights a month. These are all great tips to making it happen! I love this and think it’s so important to make it a priority..especially after having kids! I love everything about this post as I think date nights are vital for any relationship. Date nights always help keep the romance alive, or at least they do for me. I’m going to have to remember some of your tips when I become a mom someday. Thanks Sarah! It is hard to line up babysitters..I hear ya! Glad you like our backyard. My husband made the deck and garden boxes. I really enjoyed it over the summer! These are all great ideas! One of my goals for the New Year is to have more date nights!! These are SUCH great tips, and I agree that it is super important to keep dating! I also love your post about cheap date ideas. We’ve been married 21 years and dating has slipped away from us– because it does take effort–so it’s good to be reminded. Thank you for this post! Glad you liked it Amy!